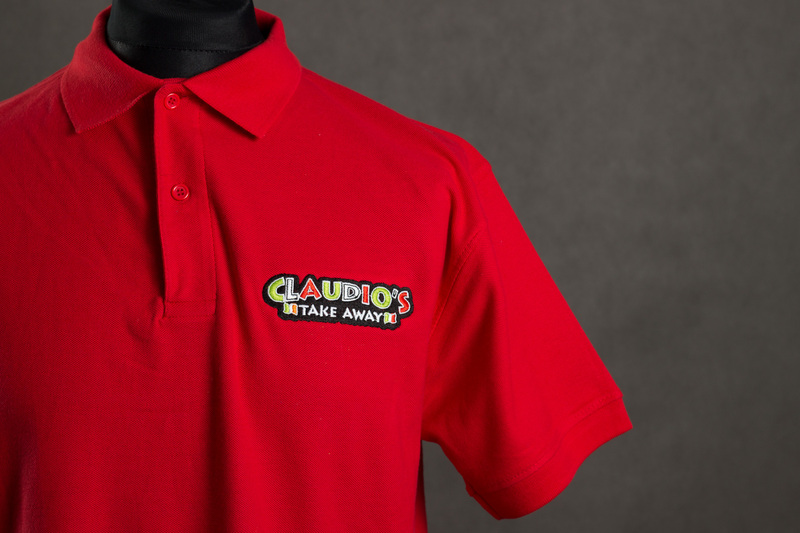 We have produced some t shirts and polo shirts for Italian Claudios Take Away restaurant located in Ireland. There are blue t shirts, red and white polo shirts. They all are embroidered with Claudios Take Away logos: one big logo at the back and the smaller one located at the front. The logo is colourful word “Claudios” with two flags: Italian and Irish. Both flags are very similar to each other. Just one small difference is the last stripe. Embroidery design is top quality. Our designers spent hours (as usual) to make sure it is looking perfect. We can embroider your business logo at any garment/clothing including t shirts, polo shirts, jackets, hoodies etc. Just contact us for details. We offer promotional clothing many reputable companies.